1.The story. There’s nothing quite like first love, forbidden love, conflicted love. And to have all three rolled into one story, with elements of the supernatural and fantasy, how can you not be hooked? Thanks, Stephenie, for envisioning a world where a teenage girl dared to fall in love with a young vampire, while being drawn to a lifelong friend, who happens to be a werewolf. 2. The incredible supporting cast. Many movies are made more memorable with a strong supporting cast (“When Harry Met Sally” and “Moonstruck” come to mind). “Twilight” is no different, benefiting from an amazing ensemble cast of both the Cullen clan and Quileute tribe of werewolves. Three of my favorite secondary characters include Alice, played by Ashley Greene, Carlisle played by Peter Facinelli, and, of course, Bella’s gruff and tough dad, Charlie, portrayed by Billy Burke. Who can forget the first time Charlie meets Edward while cleaning his rifle at the kitchen table? 3. The collaboration between Meyer and the screenwriter, Melissa Rosenberg. Both obviously shared the same vision to stay true to the books and I love that we had continuity of writing throughout the film franchise. The fact that Stephenie was credited as a producer in the last film is evidence that Summit knew what it was doing. 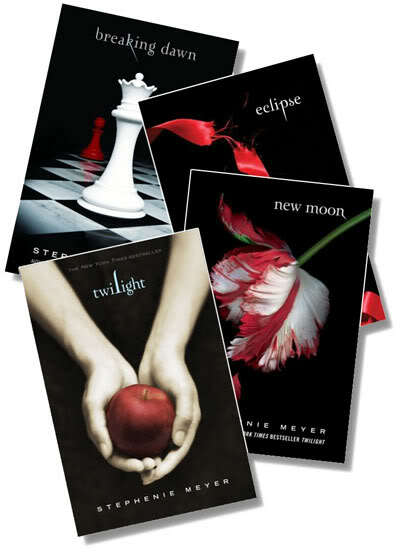 I adored the final scenes of Breaking Dawn: Part 2 showing excerpts from Twilight the book, interspersed with shots of all the cast members, reminding us that these stories first began as words on a page. Well done! 4. 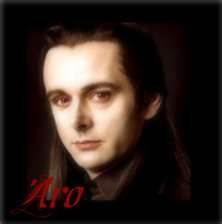 The Volturi. Every good story needs a good villain, and the power-hungry, cultured ruling vampire coven fits the bill. Aro, played brilliantly by Michael Sheen, as well as Caius and Marcus, were a perfect counterpoint to Bella, Edward and Jacob. And who wasn’t rooting for Jane’s demise in the final fighting scene? My friends celebrate after watching Breaking Dawn, Part I. While there will be other films to enjoy with my friends, none will likely hold the same anticipation and appeal that our “Twilight” outings inspired. 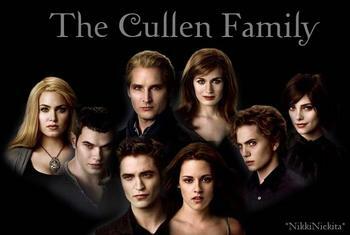 I applaud the cast, the filmmakers at Summit Entertainment and most of all, Stephenie Meyer. Thank you. What a fun, unforgettable ride! This entry was posted in Films & Pop Culture and tagged Stephenie Meyer, Twi-Mom, Twilight, Twilight Breaking Dawn on November 18, 2012 by AnneWainscott. Casablanca – The holiday post titled, “Ways to nurture your writing spirit,” included the joy of listening to dialogue from this 1942 classic, which remains my all-time favorite film. I loved the Epstein brothers’ remarkable screenplay and the chemistry between not only Bogart and Berman but also between Bogie and Captain Renault played by Claude Rains. Water for Elephants – On day one of the blogathon last year I reviewed this film based on Sara Gruen’s bestselling drama. The story’s backdrop is a struggling circus in Depression-era America. Harry Potter and the Deathly Hallows – Part 2earned an entire post last July where I discussed the lasting legacy of J.K. Rowling’s body of work. Through her seven-part fantasy series, Rowling made reading cool for millions of kids. Twilight Saga – A self-professed Twilight Mom, I shared the fun of heading to my local Cineplex with my girlfriends for the opening night of the film’s New Moon premiere. 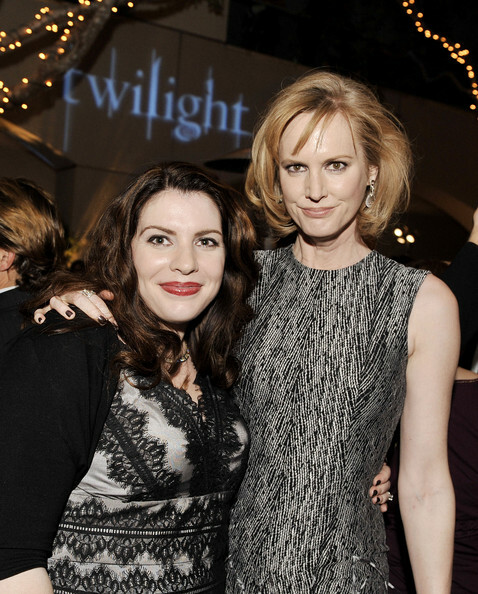 The post talks about the generational pull of the Stephenie Meyer series and how Twilight screenwriter Melissa Rosenberg translated the book to screen. 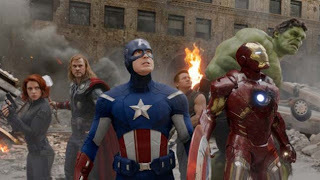 Chris Evans continued his clean-cut All-American image as Captain America, while Chris Hemsworth was an eye-candy favorite as the demigod Thor out to contain Loki, his vengeance-obsessed adoptive brother set to destroy Earth. Scarlett Johansson, who played Black Widow, had some great action scenes, as did Jeremy Renner as Hawkeye. The movie wouldn’t have been the same without Samuel L. Jackson as Nick Fury. One of my favorite characters, however, was Mark Ruffalo, who alternated between a low-key but brilliant Dr. Bruce Banner and a crazed Hulk. I will never forget him smacking Loki around like a rag doll at one of the movie’s funniest and most satisfying moments (prompting spontaneous applause from moviegoers). Of course, those who love these movies have been anticipating an Avengers “dream team” on screen for some time now. It couldn’t have come soon enough for this fan. 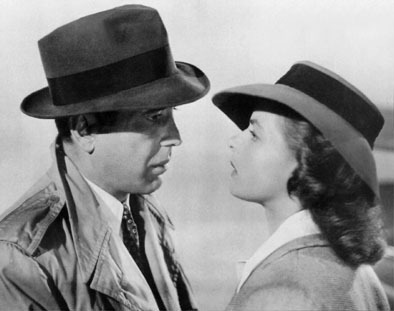 This entry was posted in Blogging, Films & Pop Culture and tagged Casablanca, Films and blogging, Harry Potter and the Deathly Hallows, The Avengers, Twilight, Water for Elephants on May 7, 2012 by AnneWainscott.